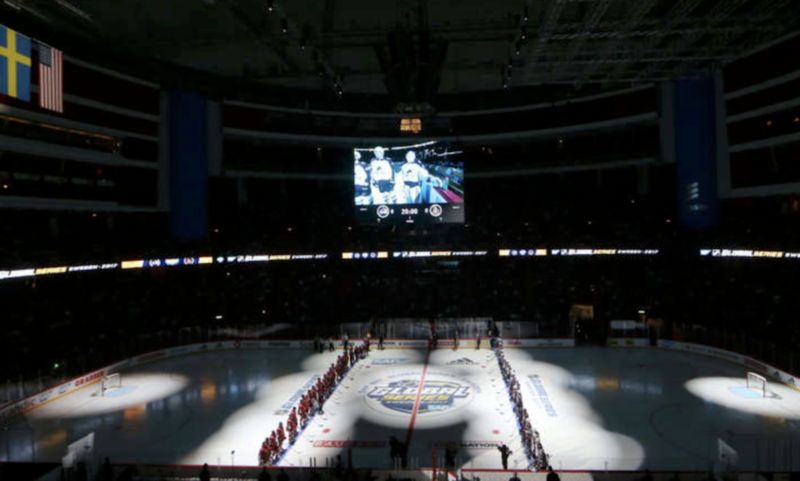 The Colorado Avalanche looked to bounce back from a 4-3 overtime loss to the Ottawa Senators in the opening game of the NHL Global Series in Stockholm, Sweden. The Avs only made slight changes to their lineup from Friday’s game, going with Jonathan Bernier in net and rookie Andrei Mironov on the third defensive pairing instead of fellow Russian Nikita Zadorov. Colorado began the game where they left off the last one – they went an extended period without a single shot on goal, being 6-0 in the shot department at one point of the opening frame. The Avs regained their footing with a power-play five minutes into the period, but got sloppy as soon as the man-advantage ended. Following a Nathan MacKinnon turnover in the offensive zone, the Senators jumped on the rush and Matt Duchene only barely missed what would’ve been his first goal for Ottawa after he went too high over Bernier’s right pad. 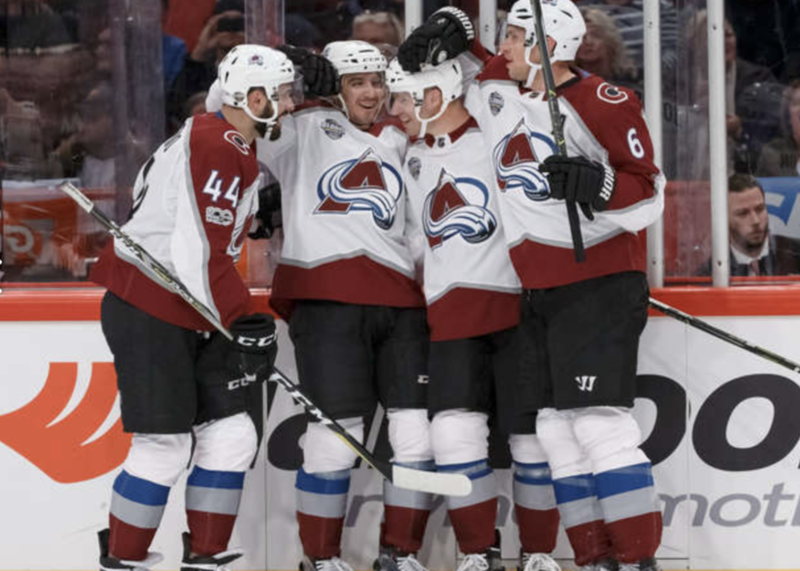 There’s wasn’t much to like about the way the Avalanche played, as they once again had problems generating shots and scoring chances overall, regularly turning the puck over and having to defend against the dangerous Senators rush. One of those ended with a bad Andrei Mironov interference minor after he failed to poke the puck away from Derrick Brassard and had to take a penalty. Ottawa put the Avs PK under pressure right after the faceoff, but a rare Erik Karlsson error on the blueline led to a shorthanded breakaway for Blake Comeau, who fired the puck into the top right corner of Mike Condon’s net. With a minute and 10 seconds left in the period, Chris Bigras was called for hooking and the Avs finished the period one man shy, outshot 7-16, but up 1-0. The lead lasted for a mere 12 seconds of the second period, as Mike Hoffman’s dump into the offensive zone took a crazy bounce on the right side of Bernier’s net and jumped right into the net before the Avs goalie could get to the post in time. The Senators scored another goal soon after, but coach Jared Bednar challenged the goal for goalie interference, as Tom Pyatt made contact with Bernier and the goal was rightly waved off after review. Pyatt was then the culprit of a tripping call against the Sens and the Avalanche finally got an extended look in Ottawa’s zone. With 20 seconds left on the penalty, Alexander Kerfoot got the puck in the slot and sent a quick wrister into the top left corner of Condon’s goal for his team-leading 7th goal of the season. The Avs’ lead lasted for less than a minute, as a turnover in their own zone led to Mark Stone’s tying goal. The seesaw game continued with Colorado getting back on top following a Sven Andrighetto shot that deflected off of the heel of Dion Phaneuf’s stick and jumped over the shoulder of Condon. The Sens goalie got the hook after the goal, allowing three goals on ten shots and was replaced in net by Craig Anderson. The second period came to an end with the score being 3-2 in favor of the Avs, but with the team falling behind 12-26 in shots on goal. The Senators made a push to tie the game right from the beginning of the final period of regulation, but had no luck getting a puck past Bernier. Mike Hoffman whiffed on an easy one-timer with a gaping net in front of him and Matt Duchene also couldn’t bury the puck in a wide open net as the puck jumped over his stick. Midway through the period, Ottawa’s offensive pressure led to their third game-tying goal, as Stockholm native Johnny Oduya used a blown defensive assignment to get a precise point shot past Bernier. The Avs continued to shoot themselves in the foot, failing to create chances, causing turnovers and taking unnecessary penalties. Mark Barberio took his third minor of the night after a brutal turnover in his own zone, which led to Mike Hoffman’s power-play goal after a failed clearance by Chris Bigras. Barberio was subsequently demoted, as Andrei Mironov replaced him on the team’s first pair alongside Erik Johnson, who then later also played with Bigras. The Avalanche never really got back into the game despite playing with an extra attacker, with the game effectively ending with a scrum between Alexandre Burrows and captain Gabe Landeskog. The Avs were outshot 18-40, getting one less shot on goal than the night before. The Avalanche continued their offensive woes, totaling less than 10 shots on goal (7, 5 and 6) in each period. Ottawa didn’t have a period with less than 10 SOG (16, 10 and 14). Andrei Mironov earned his first career NHL point with an assist on Kerfoot’s goal in the second period. Aside from leading the Avs in goals (7), Alex Kerfoot has scored four goals in his last four games and scored four points (two goals and two assists) in two games of the Global Series. Rookie defenseman Samuel Girard was once again third in TOI on the team with 22:39 despite only playing in his second game with the Avs and his seventh career NHL game. 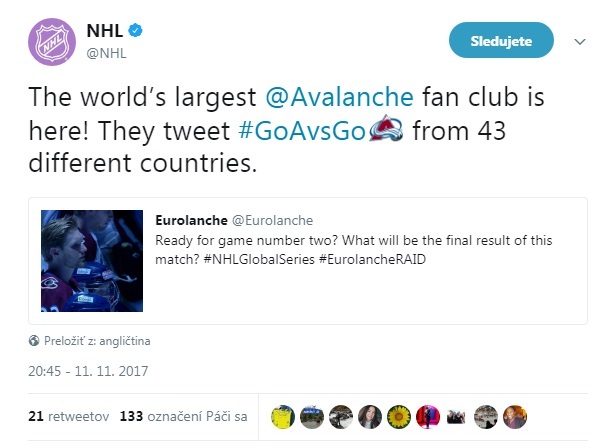 Michal Hezely, the author of this article, was given media accreditation for the entire NHL Global Series and was reporting directly from Stockholm, Sweden.